A roadside emergency can happen at any moment, but knowing how to safely respond can help you feel more prepared. Whether your tire goes flat, car battery dies or you forget to check your gas light before it hits “E”, here are five tips to help you prepare and stay safe when a roadside emergency happens to you. 1. Have the proper tools on hand. 2. Get off the road. 3. Make your vehicle visible to others. This article is for informational and suggestion purposes only. If the policy coverage descriptions in this article conflict with the language in the policy, the language in the policy applies. 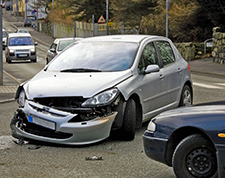 Grange Insurance offers Roadside Assistance coverage in select states that can be accessed during a roadside emergency through its Grange Mobile app or a toll-free phone number. Talk to your local independent agent to learn more about Grange’s auto insurance and Roadside Assistance coverage. 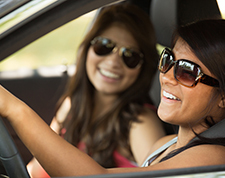 Before your teenage driver embraces the freedom of the road, make sure you know how to keep them safe and insured. Find peace of mind through quality driving instruction, new technology and several ways to help you save money.